John Hamilton and Carolyn Costello at Costello's Market. The heat of slow-roasting meats hangs heavy at Costello's Market in Middlebury's historic Marble Works District. It smells good, too — of pork fat and fennel, tomato and freshly baked bread. No wonder this Italian market earned Yankee magazine's 2014 designation as the best sub stop in New England. Ask for the porchetta sandwich. A local legend, it's not on the menu but always available to those in the know. Chef John Hamilton sprinkles flattened pork with fennel seeds and pollen before rolling it up for a 10-hour roast. He serves it straight up on crusty, homemade rolls — no vegetables, cheeses, mustard or mayo required. There are no seats at Costello's, but you won't mind eating this Roman creation in the car. Market co-owner Carolyn Costello presides over a large case filled with imported Italian meats. 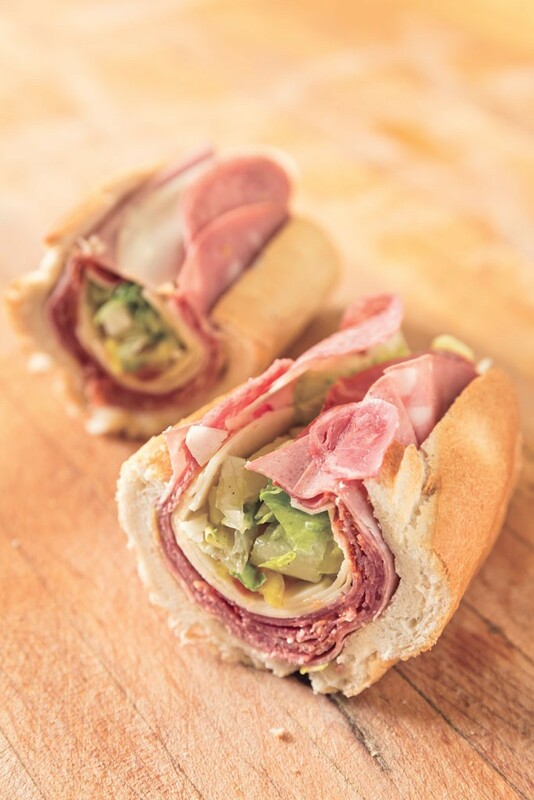 She layers nearly all of them in the Tutto Italiano, a symphony of prosciutto di Parma, capicola, salami and aged provolone on a compact roll that soaks up the spice of another key ingredient: banana peppers. Tutto Italiano at Costello's Market. Adjacent cases offer house-prepared meals inspired by the old country: lasagna, meat-and-veggie-filled torta rustica and specials such as wine-braised beef braciole. 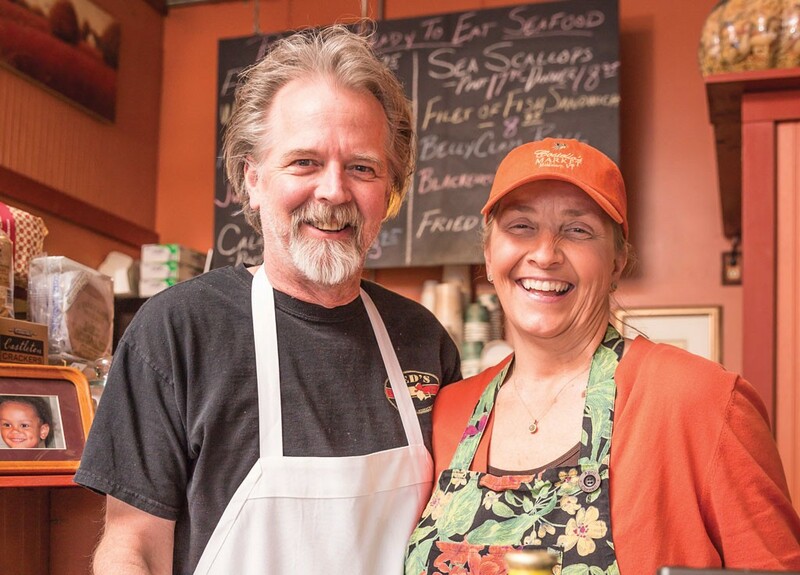 Costello's other specialty is ultra-fresh, mostly regional seafood. Squid and swordfish are available to take home raw or marinated. Better yet, get them fried. Retirees from the apartments next door are fans of Hamilton's fried scallop and oyster dinners. Middlebury College students are more likely to crave his giant California fish tacos. Accompanied by veggies and chile mayonnaise, each unusual fried flour tortilla contains a single large filet that most certainly didn't come from the West Coast.